YOU MAY REGISTER ON SUNDAY, MAY 6TH ONSITE AT THE ZOO STARTING AT 7:00 AM! The SF Zoo is a global leader in education and animal conservation, with initiatives at the forefront of animal wellness and research. The Zoo is hard at work saving animals - both locally and around the world. 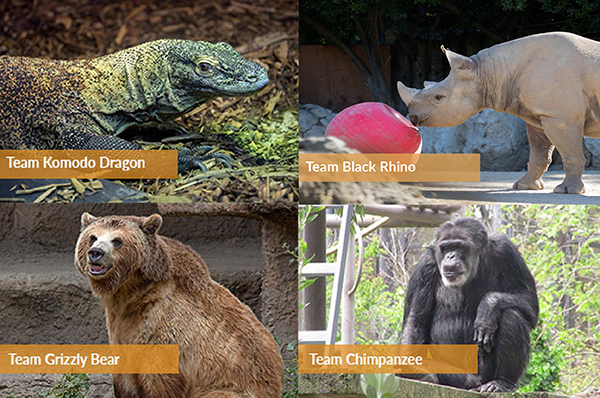 Come share your support for the SF Zoo (and conservation in general) at the Jungle Jog. Proceeds will go to supporting the Zoo's education, conservation, and animal wellness initiatives! On Sunday, May 6th the race will begin at 8:00 am and be followed by a family-friendly festival and a day at the Zoo. Spectator Only. Allows access to the event. No T-shirt is provided at this level. This spectator fee waived for Zoo members. A quarter-mile dash through the Children's Zoo. This event will start at 9:00 after the 5K concludes. Children under three may attend the event for free, however, we require that everyone on the course has a signed waiver. This free registration does not include a t-shirt.